Jay Z has rallied support from fellow recording artists to help launch his new streaming service Tidal. Kanye West, Beyonce, Nicki Minaj, Rhianna, Madonna and Coldplay have all changed their Twitter profile photos blue to raise awareness about the service. 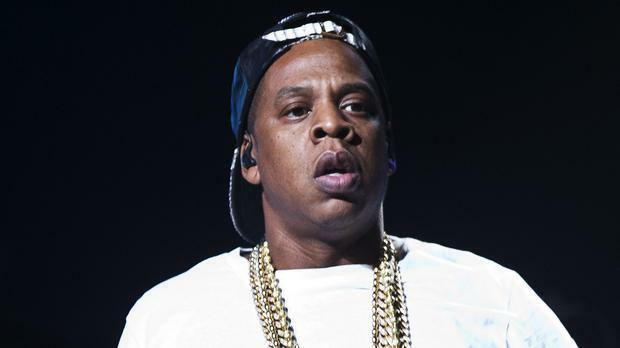 Jay Z’s company Project Panther bought Swedish-based company Tidal for $56m (£38m) two weeks ago. The streaming service, which aims to provide CD-quality streaming, offers subscribers access to 25 million tracks, 75,000 music videos and other content including artist interviews for £19.199 per month. Tidal is available across North America and Europe, but today marks the first time Jay Z will unveil plans for how the streaming service will directly benefit the artists involved. According to Forbes, Jay Z has ambitions to allow featured artists to reap more rewards than the current corporate streaming model. After pulling her entire back catalogue from Spotify last year, Taylor Swift’s albums – with the exception of 1989 – appeared on Tidal last week. A spokesperson for the singer said Swift's music continues to appear on streaming services that require a subscription fee. “Big Machine Records believes music has value and we do not believe Taylor’s music should be made available for free,” they said. After removing her songs from Spotify, Swift said she was “not willing to contribute my life’s work to an experiment that I don’t feel fairly compensates the writers, producers, artists and creators of music”. Tidal may now present itself as the streaming service that gives back to artists and producers, but it will have to compete on a global scale with the likes of iTunes, Beats Music and Google Play Music to do so.